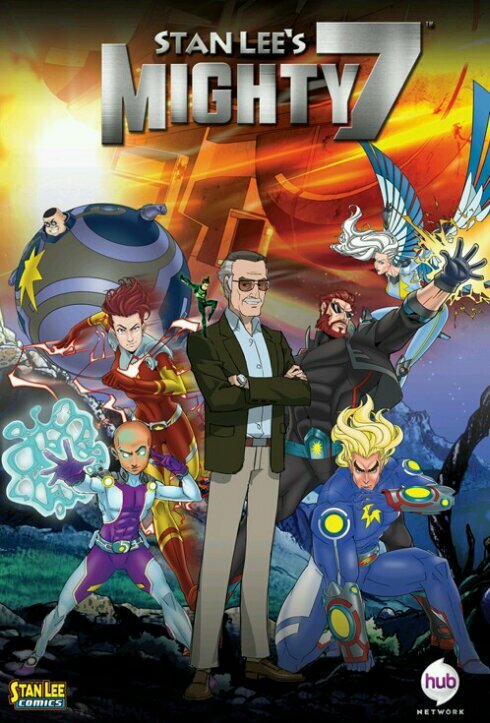 Stan Lee has his first starring role! In a new animated series Lee plays himself, a writer who sees “seven aliens crash in the desert” who he then has to “teach how to behave.” In the preview below, Lee tells the rest of the tale of his interactions with the two star marshals and the five fugitive aliens in their custody. The movie airs on The Hub on Saturday February 1st at 8/7c. The movie is the first in a trilogy and will be accompanied by a monthly comic book and an animated television series that is set to hit the airwaves in 2015. I am excited for this series. Lee is finally getting the props he deserves in more than just cameo. I am excited about this preview and the writing direction that it is taking. To have a movie trilogy, comic book, and animated series already slated is genius marketing. This is a good movie for both Lee and HUB and I hope that the fans rally around it and support the project in its entirety.